Want to make a difference in your community? Becoming a zero waste activist is the way to go! While individual actions matter, they are more impactful on a larger scale. In other words, the more people you can spread the zero waste message to, the better. After all, when people join together, there’s nothing we can’t do. So many people are disconnected from where their food comes from. Growing your own teaches you the true value of food, and that it’s not meant to come to us packaged in plastic. Real food is completely package free, just the way mother nature intended. Offer your time to help support a garden in your neighborhood. You’ll get to meet all sorts of people there, and possibly strike up a conversation about zero waste living at some point. Increase access to fresh foods, thus improving food security. Improve air and soil quality over time. Improve dietary habits through education, upping fruit and vegetable intake. Increase biodiversity of plants and animals in your local community. Reduce neighborhood waste through composting. Reduce “food miles” that require your food to travel longer distances to reach you. Create a sense of community, thus improving mental health and promoting relaxation. Not sure if your community has a garden? Perhaps consider starting your own community garden! One of the best ways to get involved and spread the zero waste message is to host a workshop. You can cover so much ground in the span of an hour. Reach out to your local library and see if they’d be interested in setting up a workshop with you. You can typically find out who to contact by walking in and asking someone who’s responsible for setting up all the library events. Also, some businesses who align with your values may be interested in hosting your workshop as well. You can contact them via email and talk about what you’d like to accomplish together. The idea is to spread the zero waste message in a fun, immersive way that gets people interested. DIY deodorant: Simple and fairly cheap to make, this is the perfect DIY to make for a first-time workshop. Zero waste lotion: This is a little more tricky and requires more ingredients, so it’ll be pricier to make. Still a fun DIY though, perfect for winter workshops. DIY Cleaner: Super simple, and very easy to make. Great for spring, when people get into the whole ‘spring cleaning’ mood. Zero waste lip balm: More complex to make. You’ll have to heat up beeswax, or vegan wax, so make sure your location is suited for this. DIY body scrub: Simple to make and fun to customize. If you host your workshop at a café, see if they’ll donate coffee grounds to be the base of your body scrub! Begin every workshop by introducing yourself, explaining what zero waste is, why it’s important, and how it relates to your workshop today. Then, show them how to make the DIY of your choice! Depending on the kind of DIY you make, leave anywhere from 30 to 40 minutes for participants to make their product. Is there a restaurant you love going to but avoid because they use plastic utensils? Or perhaps your mall’s food court is full of wasteful Styrofoam containers? Reach out to these companies about their plastic use! You can do this by sending the company a letter via email. Make sure to begin the letter by stating what you like about them. You always want to start on a positive note (Ex: I love coming here for lunch and ordering your veggie wrap!). Next, let them know what the problem is. Do they use too many plastic utensils? Automatically put a straw into your drink? Use disposable plates? Let them know and back it up with facts as to why this concerns you (Ex: Americans go through 500 million straws every day). Last but not least, conclude by offering some possible solutions or suggestions. Make it obvious you’d be willing to help them brainstorm sustainable solutions too. Keep your letter as short and to the point as possible. Be sure to follow up if they don’t respond in a week or so. Of course, you can also try calling or walking into the store, asking for their manager. If you do this, keep your tone as friendly as possible so the conversation doesn’t take a negative turn. Is there litter all over the place in your neighborhood? Clean it up! Often times, litter left unattended will find their way into our water systems and pollute them even more. Worse yet, any litter (in the ocean or on the ground) can be eaten by animals. This causes them to die a slow, painful death of starvation. Getting a group together to pick up trash around the neighborhood is a great way to combat this problem. You can enlist friends and family, but definitely extend the invite to other people as well. It would be fantastic to get as many people in your community involved as possible. Find a designated area you’d like to clean and plan at least two or three months in advance to get things done. You’ll definitely need supplies to get the cleanup done, so make sure to think ahead. You’ll also want to think about where all the trash will go when you’re done cleaning it up. Call your local waste management facility and see if you can organize a free pick up. To spread the word about your cleanup, use social media to help! Post it all over Facebook and Instagram. You can also ask your local newspaper to cover the event: This’ll surely get more participants who are eager to help. The best way to create change is to change the system. I urge you to vote for people who are looking to protect the environment as much as you. This doesn’t just mean voting in the big elections, it also means voting in local elections too. Be sure to stay on top of the people who are running your own state, as these are the people who will directly influence your local environment the most. Aside from voting, there are several other ways to get involved with local government. I suggest finding city hall and attending meetings, checking out your local .gov website, and finding a board (or commission) to share your ideas with. Perhaps you want to ban plastic straws in your city? Or you want to start up more community gardens? Finding the right people to contact and going to them with a plan is always a good idea. As I mentioned earlier, going to a town hall meeting is a great idea. Why? Because you get to see and hear the current problems specific to your local community. Plus, you can bring up a problem you yourself see. You may even be able to speak at a town hall meeting as a guest speaker, informing your fellow citizens about zero waste living. 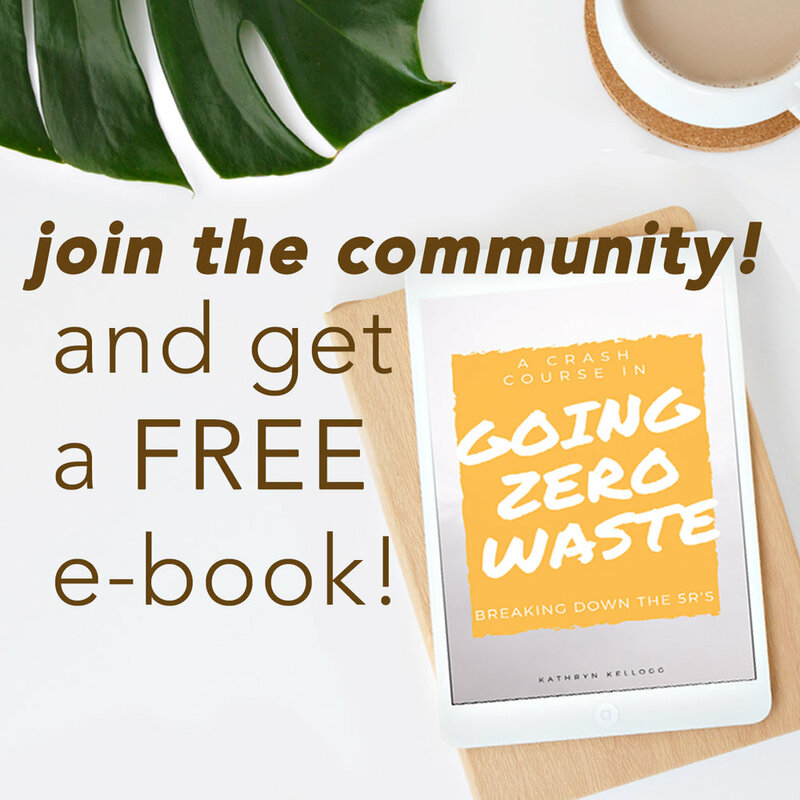 You can use it as an opportunity to educate them about what zero waste living is, how you incorporate it into your life, and how they can too. Of course, you’ll have to obtain permission to do this from someone at city hall first. It’s so important to have a support group filled with like-minded people. While online community is great, it cannot compare to real life support groups. If you want to gather people in your neighborhood to talk all things zero waste, consider organizing a meetup. Just pick a place to meet (a local café works well), choose a date and time, and broadcast it on social media. You’ll be surprised at who expresses interest! If you’d like to make it even more local, try creating a Facebook group for people in your community who are interested in zero waste living. When you want to organize a zero waste meetup, let them know and see what dates and times work best for them. Your meetup doesn’t have to be anything fancy: Just keep things casual. You can use it as a time to hang out, get to know your followers, socialize and talk trash (literally). Ask them why they’re interested in zero waste, areas they’d like to improve in, etc. Let the conversation flow and just be yourself. Is there a particular problem in your neighborhood that has you fired up? Start a petition! It’s so easy to start one nowadays with the help of technology. You can choose to do one online, in person, or a mix of both. Think local and focus on an issue that matters to your community. Make sure the petition preamble is short and sweet, to the point. Make sure the petition has clear logic, solid facts backed by research and a sound argument. Lay out your concerns as clearly and concisely as possible. Make specific, focused requests in your petition text that will create the change you seek. Include photos and videos where appropriate to get more traction. Reach out to the media and talk to the press about your petition to really get attention. A good overall idea is to combine your online campaign with a paper campaign. Be sure to synchronize your signature lists. This will help you bring your petition to events that align with your views so people can sign on the spot. Food waste is a huge problem in this country: In America alone, 40 percent of all food is wasted. With so many people starving in this world, it’s just not fair. The irony is that we have enough food to feed everyone. Unfortunately, for all sorts of reasons, this food doesn’t make it to those in need. Volunteering at a local food pantry or soup kitchen will certainly make a difference. It’s a great way to give back to your community and also outwardly oppose food waste. A food pantry is where people can go and receive food for the month to make at home, whereas a soup kitchen provides meals to people in need on the spot. If you don’t have the time to actively spend volunteering, consider donating food to a food bank. Feeding America makes locating a local food bank near you easy (just type in your zip code and you’re good to go). If you garden and have surplus fruits and vegetables, consider donating them to a local food pantry. Ample Harvest makes it easy to find food pantries accepting fresh produce in your area. Individual action is great, but together, we can truly make an impact. Starting a zero waste group is a great way to branch out into the community and get others interested. Together, there’s a lot you can accomplish! 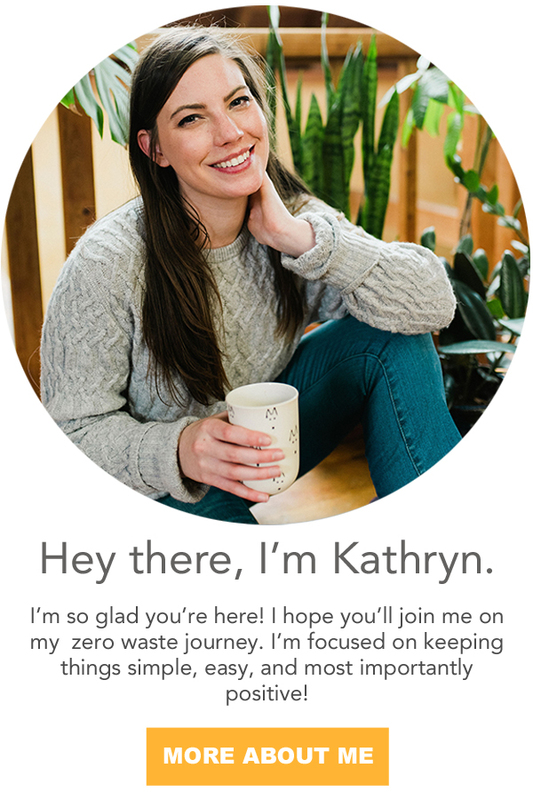 To create your own local zero waste group, start out by building a presence online. Target people specifically in your area. This is fairly easy to do on Instagram: You can add the location of your posts to reach local people near you. You can also add a location to your Instagram stories. Another way to gather people online is through Facebook groups. You can create a group on Facebook dedicated to zero waste in your area. Just title it “Zero Waste (Your City/Town) Group” so it’s easy for people to find and locate. You can also easily create events on Facebook to share with your group members. Once you have a sufficient online presence, organizing a zero waste meetup (like I suggested earlier) is a great idea. Then, after getting to know your local zero wasters, you can lead a workshop (also talked about earlier) your group will enjoy. Doing all this within the span of a few months will help really solidify your group and bring you closer to each other. Once you’ve got a zero waste group going you’re proud of, you can utilize it to create a lot of change! Together, organize co-hosted events, grab a table at a festival, or get involved in local government to make a change. The possibilities are endless! What are some ways you like to be a zero waste activist?